Finding fleas around your house is not pleasant at all but it would be terrible if those blood-sucking insects are present in your bed. You will no longer be able to enjoy a sound sleep for fear that fleas may bite you any time and leave you with crazily itchy spots. However, the good news is there are ways to get rid of them and you can absolutely do it yourselves. As you feel like there is some doubt if fleas in bed, don’t jump into searching for remedies right away. Instead, you have got to verify whether it is really flea or just some kind of bed bug. 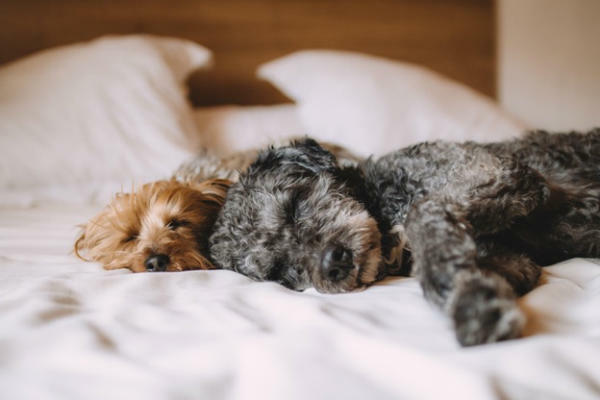 Fleas usually take refuge in moist and shady places so human beds are less likely to be selected as frequent residence despite the fact that beds are pretty soft and cozy. Therefore, if you have got bitten and suspect it is flea bite, double check to make sure it is actually flea. There are some tips to differentiate fleas and bed bugs. First, notice how the insects move. While bed bugs crawl, fleas jump. Second, see how the bites look like. Bed bugs’ bites tend to be raised, flat red welts while flea bites are small red spots. Flea bites are terribly itchy while bed bug ones are not. Once you are sure that what irritate you are fleas, take action to get rid of them. Fleas do not intentionally jump to bed themselves, but most likely they are carried by pets. Thus, no matter how much you enjoy playing with your pets in bed, it is time to stop that and make sure your beloved pets not get in bed again. The warm fur of dogs or cats is favorite hiding places of fleas. As dogs or cats go sleep with you, those fleas will jump out on beds and hide in a blanket, pillow or mattress. You have to find ways to treat fleas in your pets also to save them from being the host of the bloodsuckers. Flea combs, flea spray or flea shampoos are among common remedies for your pets. When you can stop the source of fleas from continuing spreading fleas in your bed, it is time to wash off bedding stuff. When was the last time you have your bed cleaned up? If it is weeks or months ago, you’ve got to clean it again now before flea infestation gets worse. Fleas can hardly survive in hot water temperature above 95 degrees Celsius so washing and drying blankets, pillows, sheets will clear fleas away. This washing-up will remove the majority of fleas, but we need to take one further step to completely get rid of them, that’s vacuum. While washing could be done for portable bedding stuff, vacuuming is applicable to somehow bulky or fixed bedding items like mattress and the ultimate goal of killing fleas and their eggs or larvae is perfectly accomplished. One key thing to remember with vacuuming is that vacuum must be emptied properly to prevent flea eggs from hatching inside and continue their life cycle. Flea eggs are tricky to deal with because they may not be hiding in pet fur, but reside in mattress or elsewhere unnoticed. 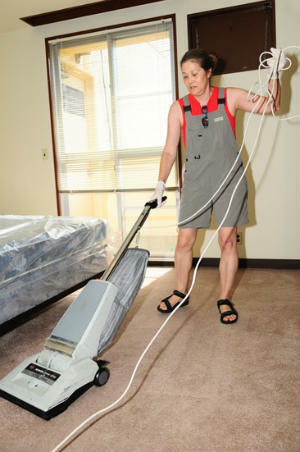 Vacuuming is such an effective method to get rid of fleas, eggs and larvae. There are a variety of flea control products that you may search for from flea control websites (click here for more details). They could be products for your pets as flea combs, flea shampoos or products to deal with flea infestation generally such as flea spray, flea fogger or flea trap. Different types of products target different object, but share common purpose of killing fleas and their life cycle related parts namely eggs and larvae. However, there are always some non-toxic options against fleas that you should look for. Diatomaceous Earth is such a good example. DE is all natural product coming from the tiny fossilized skeletal remains of unicellular plants called diatoms. It is safe for human and pets, but lethal to insects like fleas. 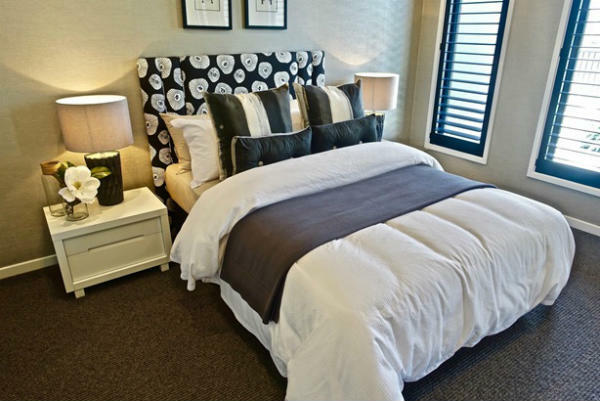 You may sprinkle the powder on the mattress and wait for 1 or 2 days before vacuuming. This will ensure fleas are killed before being sucked into the vacuum cleaner. Another remedy for flea in bed is herbal spray that can be applied to mattress and around the bed to prevent fleas from getting closer. Some kind of plants that release unpleasant scent to fleas could be considered planting near in the bedroom as well. Penny royal, chrysanthemums, lavender and spearmint are among herbal plants which are disliked by fleas but pleasant to us. Fleas in bed are the worst thing we never expect, but in case it does happen to you and your family, consider the above mentioned tips to cure yourselves from flea infestation. Cleaning is always the first and foremost recommendation to take because tiny pesky insects are not comfortable to be in a clean environment where they are most likely to be exposed. Therefore, give fleas no chance to disturb you simply by taking good care of your bed, pets and your house as a whole.